1. 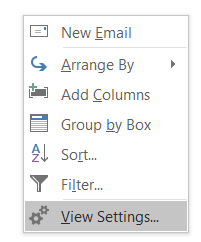 Right-click on an empty space in your inbox and select "View Settings". If you have trouble evoking this menu, scroll down to the bottom of your inbox, and try to find a sliver of empty space at the very bottom of the screen to right-click. 2. Select "Other Settings". 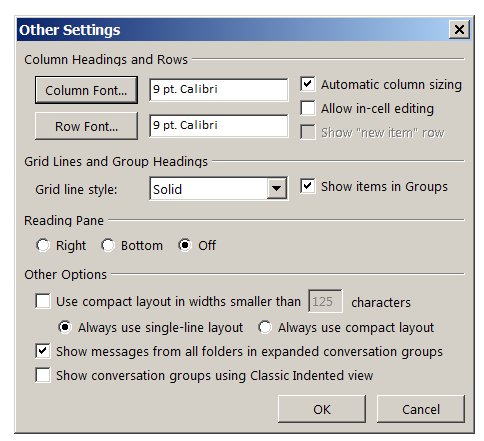 This screenshot shows my inbox settings, which you may or may not want. However, changing some of these values may give you a sense of what you want to change to get things more how you want them to look.